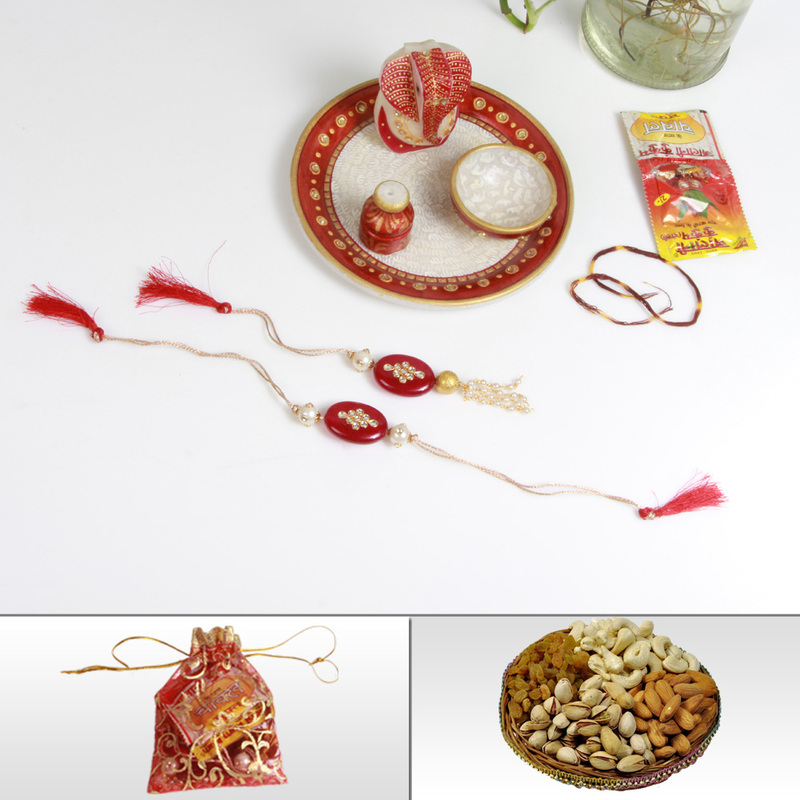 The Traditional Marble Pooja Thali displays the very best of traditional artwork to make it such a welcome addition to as auspicious day as that Read More..of Rakhi. The presence of high-quality Meenakari work embossed on the plate makes it such an eye catcher while the marble Ganesh adds a dash of piety and divinity to the entire proceedings. 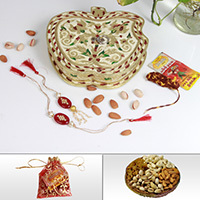 The Traditional Marble Pooja Thali also contains 200 gm of mixed dry fruits to make the occasion a sumptuous affair. 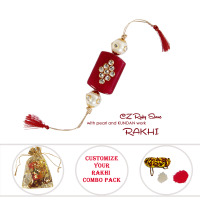 Moreover, the presence of designer Rakhi, roli moli, and chawal seals the deal in favor of this package for every loving sister wishing to make her brothers feels special on this day. Show Less..